There's a brand new planner sticker kit in my shop! The Daydream Collection is full of soothing, dreamy, summery blues and greens and I designed everything in it myself! This collection was inspired by a photo I took of Baxter as a puppy - he had been chasing butterflies on a perfect, bright blue summer day before he passed out on the grass under the sunshine! 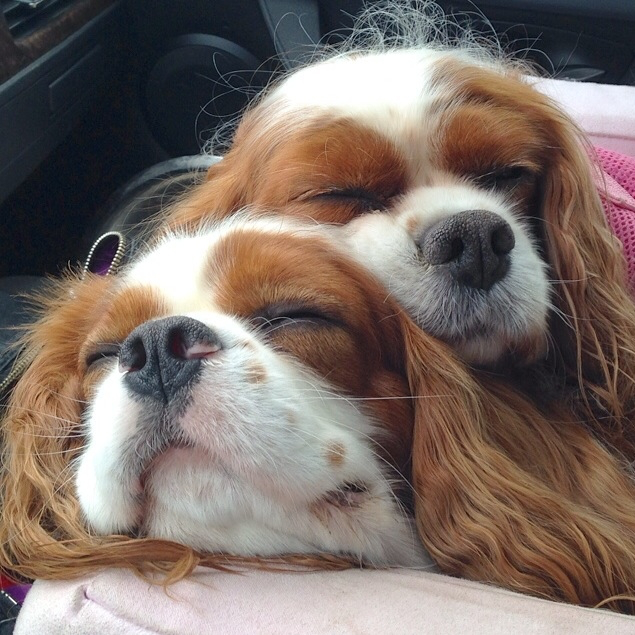 Such a sweet, happy memory! 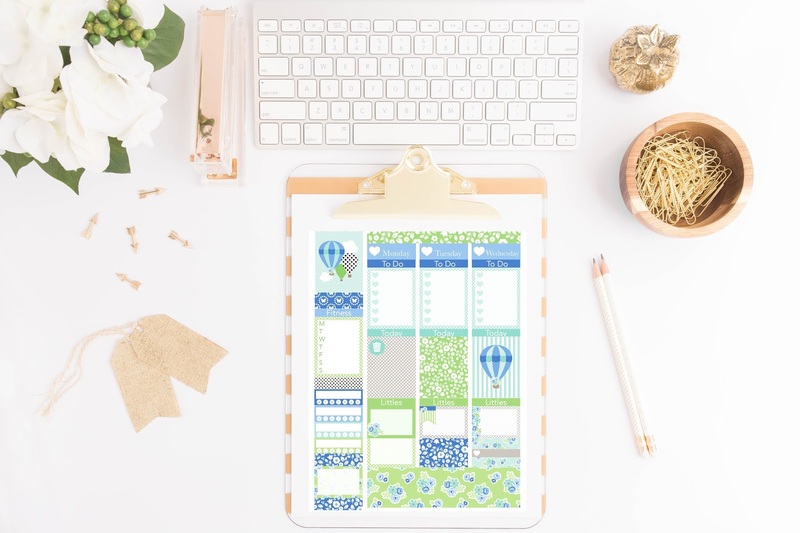 There is a six piece kit which is full of everything you'd need to beautifully decorate your planner or journal. There are also two "Bonus" sheets that can be purchased separately from the main kit. One sheet is full of washi style stickers.....or Fwashi as I like to call it (that's Faux Washi)! There's also a sheet full of flags and other simple shapes that have been decked out in beautiful colors and prints. I love how versatile these sheets are. You can use them with the six piece kit or you can use them on their own in any size planner or journal or scrapbook or card making project or any paper craft you can think of! Thanks for stopping by and I'd love for you to visit my shop! 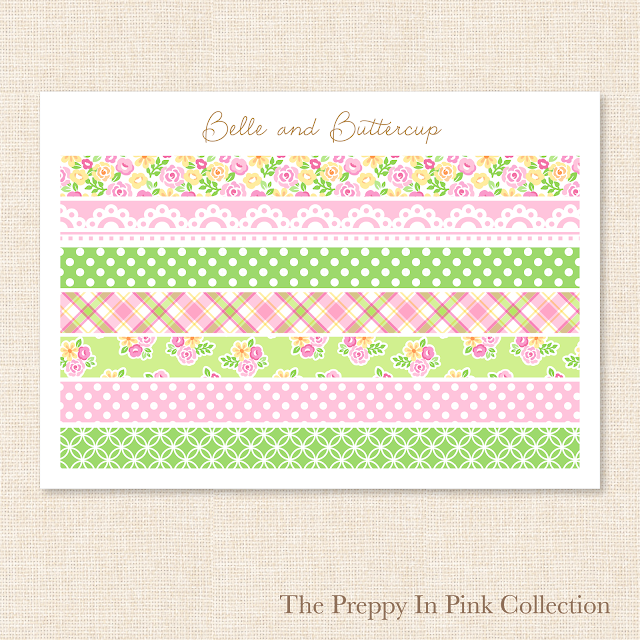 These are a few of my favorite patterns that I designed for the Preppy In Pink Sticker Collection. In addition to all the florals, plaids, stripes and polka dots, I had to make a Cavalier sticker! Baxter was my model in this collection and Betsy will be immortalized in sticker form very soon. I'm also going to open a Spoonflower shop (print on demand fabric) full of the patterns that I'm designing. 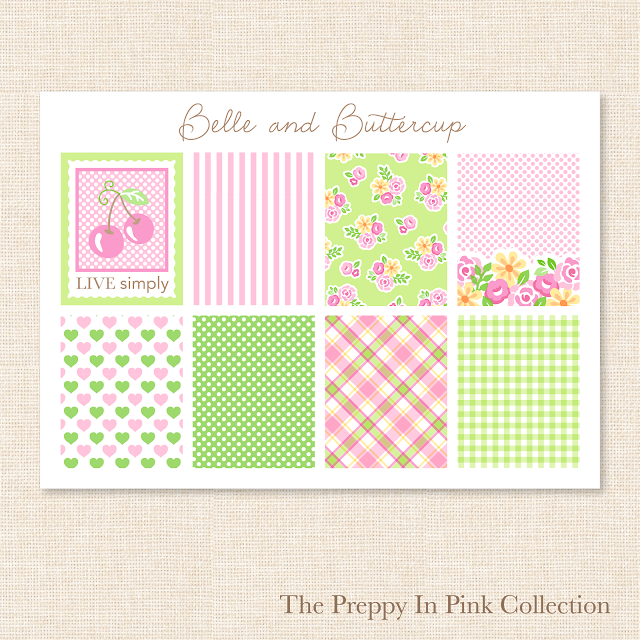 I can't wait to make quilts with my very own Belle and Buttercup fabric!!! And these are a few of my favorite stickers sheets in my new etsy shop. 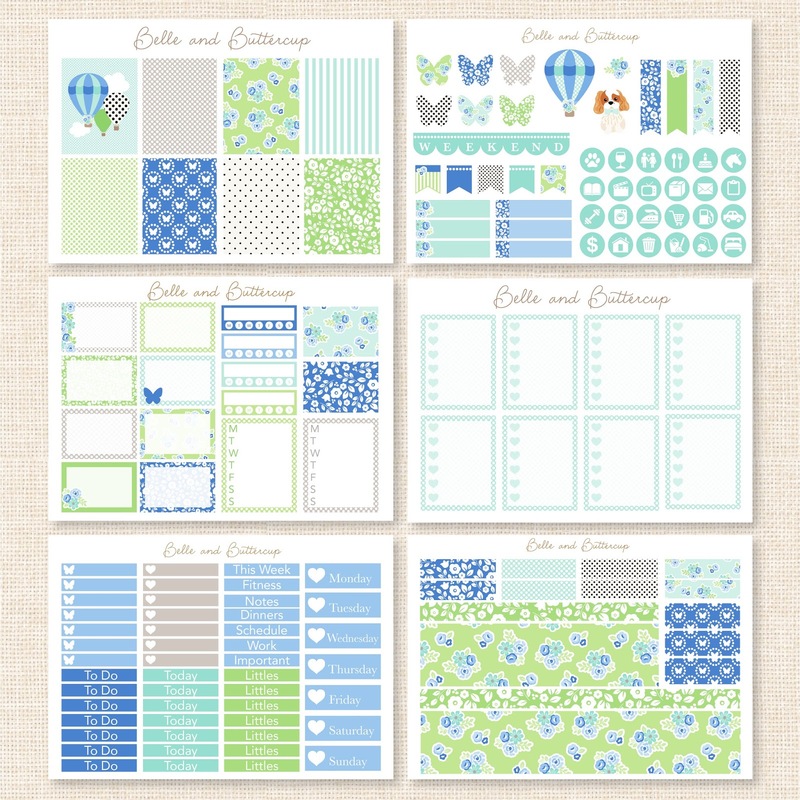 These stickers are called Full Boxes in the plannering world and they're 1.5" x 1.875." 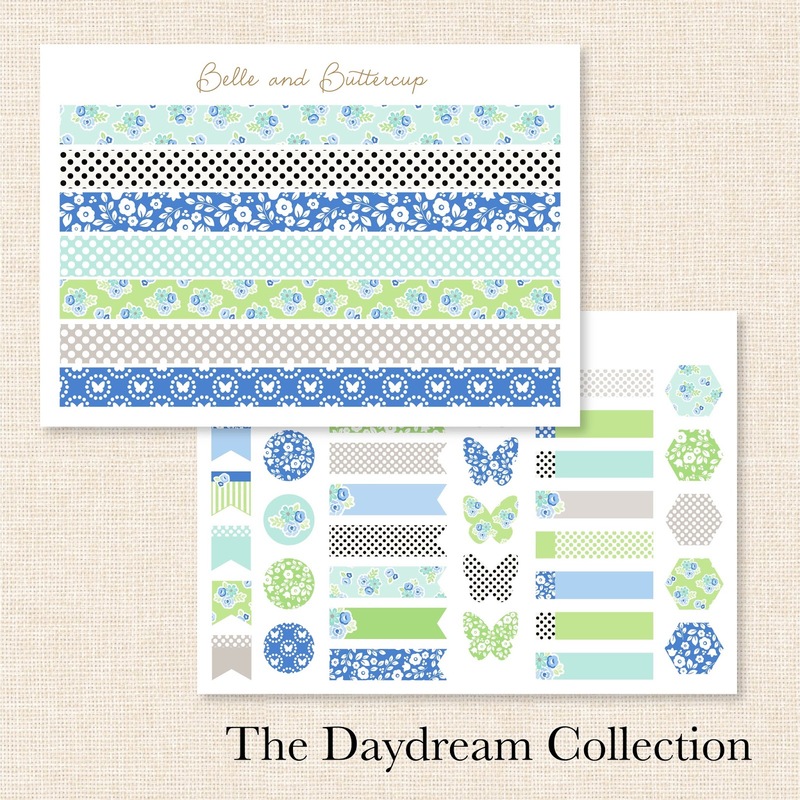 These are washi tape style stickers and you can use them for a zillion different paper crafts! And this sheet is full of decorative stickers - hearts, flags, quotes, flower bouquets and my Cavalier King Charles Spaniel, Baxter! I'd love for you to visit my etsy shop and I'll be releasing my second collection, Daydream, later this week! 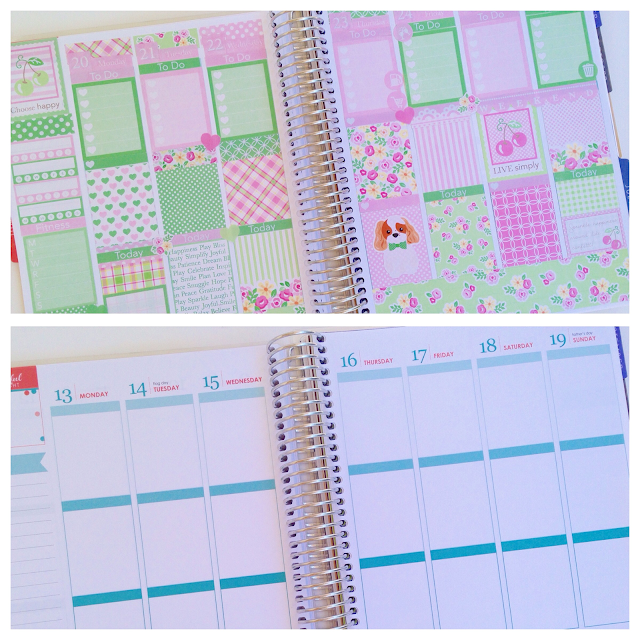 For all of my non-Plannering friends who are wondering what on earth you do with planner stickers......this is a before and after. You can either look at a plain, boring planner all week or you can dress it up with as many stickers as you want! I use mine for so much more than scheduling and remembering what I need to do that day....mine is more of a journal or scrapbook for me. I write down 3 things I'm grateful for every day, I record exercisde and my weight, I write down ideas, accomplishments, goals or interesting things that happened that day. Some people use it for meal planning, recording the weather, inspiring quotes, affirmations, books they're reading, what they watched on t.v. or things they bought. The skies the limit! 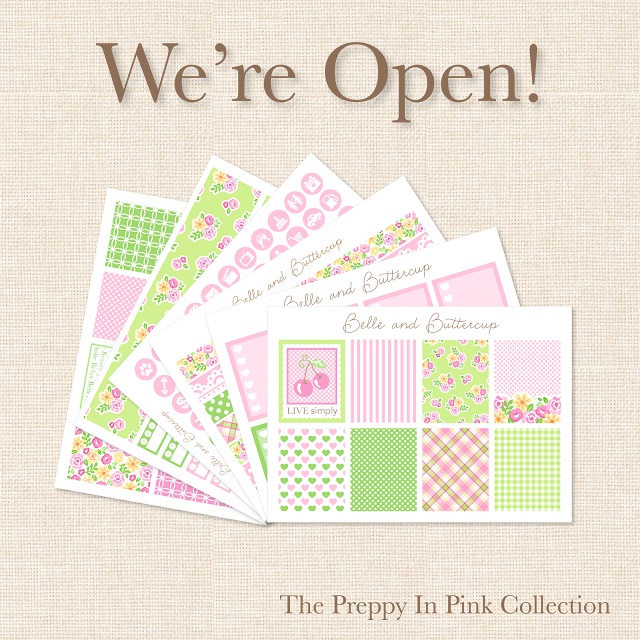 We're open!!! 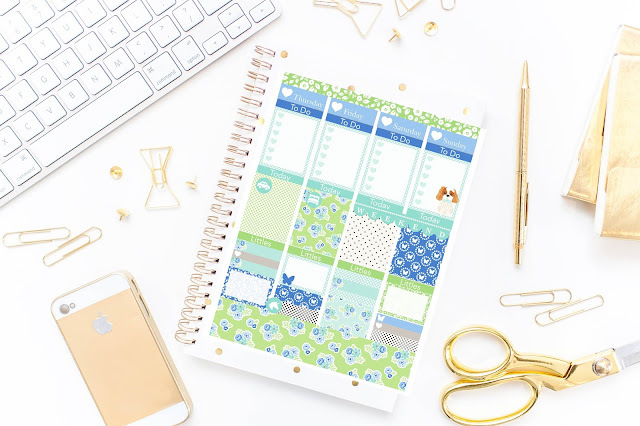 I'd love for you to visit my planner sticker shop, Belle and Buttercup on etsy. I have created all of the artwork myself and you won't find these designs in any other shop. I have spent months creating every single pattern, motif and layout from scratch and I'm thrilled to finally be able to share my first collection, Preppy In Pink with all of you! 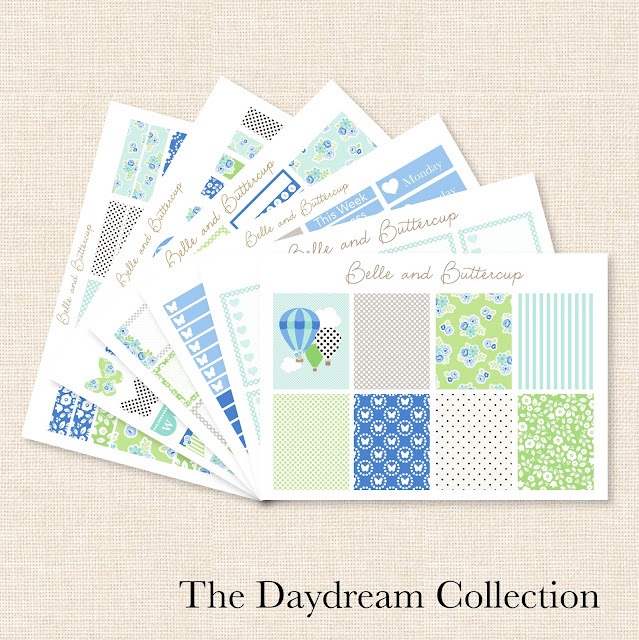 I'm almost done with my second collection, Daydream which is full of soothing, summery shades of blue, green and grey. And if you're not into planning yet.....or "Plannering" as I like to call it....you will be soon. Who wants to look at a boring black and white planner every day when you can cover it with colorful, happy stickers instead???!!! You can also use these stickers for scrap-booking or card-making or decorating a journal or any other paper craft you can dream up! You can visit my shop by clicking HERE!